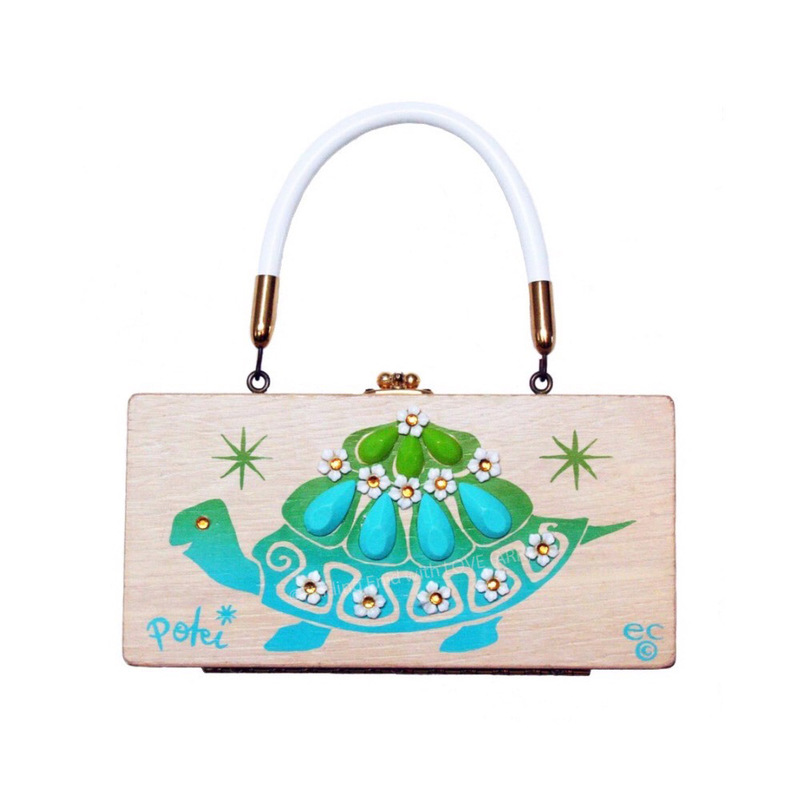 Box purse of light-toned wood screen printed in a gradient from bright turquoise to bright green, depicting a stylized turtle in profile flanked by two asterisk-style stars. Tortoise's shell is decorated with faux gems in opaque turquoise and green, and acrylic white floral embellishments with amber centers. "Poki" serigraph in hand-script printed style appears in the lower left corner. The letter "I" is dotted with an asterisk-style star.